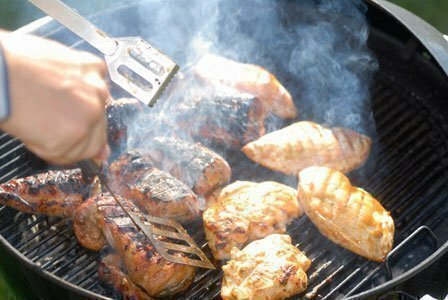 Those new to cooking chicken barbecue often ask if the meat has to be boiled first. If it’s boneless chicken, it won’t be necessary. If it’s boned, you can boil for 20 minutes or so. Chicken breasts tend to cook very quickly. If it’s boned, give it 10 minutes to boil in the water. Keep in mind that the skin won’t turn crunchy if you boil it. If it’s boneless chicken breasts, don’t boil it. If you do, the meat will get too dry. In some cases it’ll get overcooked. The kind of cooking you want to do will also determine the boiling time. If you’re going to finish cooking chicken barbecue on the grill, boil it for only a few minutes. If you want it cooked, boil for 25 minutes (if it’s boned). If you want to grill the raw meat, just put it on the grill. Cook each one for 8 minutes (per side) and it should be finished. After 7 minutes spray the meat with some BBQ sauce. A meat thermometer will help you check the right temperature. Place it at the thickest portion of the meat. Wait until it registers 165 F. The chicken should be done when the readout reaches that level. This digital device can be a help to those who are new to cooking chicken barbecue. These devices aren’t that expensive, and the benefit they provide is tremendous. Integral to serving a good barbecue is how you prepare things beforehand. If the grill has been used, get rid of the ashes. Remove bits or traces of other food. Getting rid of the ashes promotes good air flow. Getting rid of other foods ensures the flavor won’t be affected. Use different plates for cooked and uncooked meat. Wash the plates when you’re through using them. To keep food from sticking to the grill, use vegetable cooking spray. If that isn’t available, apply some cooking oil around the grill. But this won’t be needed if the basting sauce has oil. Those new to cooking chicken barbecue should remember that point well. Excessive use of oil can cause flare ups. Ready the fire half an hour before using it. If you’re in a hurry, get a chimney starter and some newspaper. It’ll light the fire quick. Another way is to pile the charcoal in a pyramid shape. Use the liquid / electric starter to start the fire. A ready charcoal will be grey in the daytime and red at night. 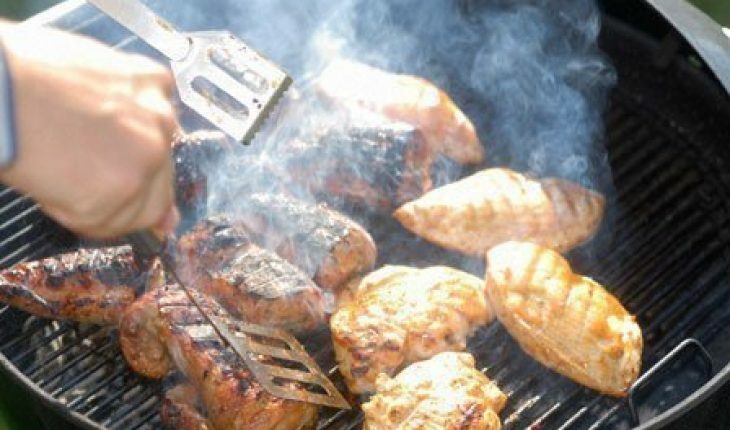 Give your barbecue some flavor by using wood chips. Hickory, mesquite and fruitwood will do nicely. Unlike other seasonings, you’ll get the flavor minus the calories. Don’t take off the skin while barbecuing. If you don’t want to eat the skin, remove it when serving. Few things are more enjoyable than cooking chicken barbecue and sharing it with your friends. It’s a great way to spend the afternoon, and using these tips can enhance the experience just a little bit more.